In today’s daily market outlook in the Profit Compass, I review the current technical posture of the indexes and look ahead toward year end possibilities. Key levels and trading plans are provided with commentary aimed at keeping you on the right side of the trade. Certainly we’ve experienced our share of volatility in 2018. If you agree with Soros, you’d have to ask the question “If we are at a turning point, what is the new trend that will be established?” The last time we experienced this kind of volatility was from the Summer 2015 through February 2016. The Chinese Yuan deval hit us and oil fell off the cliff. That mess resolved higher. Now, 3 years later, we’re left to wonder how this resolves itself. I can’t answer that question and I’ve yet to find a person that can. What I can do is look at charts; let’s do it! Last night, after the 800 point disaster, the White House rushed Navarro out last night to revive the dead G20 rose by saying everything is fine and on course. At least it wasn’t Kudlow who increasingly looks tired and overwhelmed by the moment. Chinese media says relax, we’re working on it. Futures have reacted with a modest bounce. We’ll see how it plays out. What Navarro didn’t explain was why the bottom fell out of bond yields. A month ago the Fed was going to “kill the bull market” with an aggressive rate policy, now the bond market sees a slowing economy in 2019. Neither one seems to be a good option for equity prices. Price for SPY and QQQ are now back below their respective down trend lines so again, there is work to do for the bulls. The bears are back in control after a swift 7% advance in a week leading into the G20. I’m not sure IWM can be helped at this point as it tests the recent lows. All that’s really left is the February lows before it’s gone. Below is a weekly chart of SPY showing the Fibonacci retracement levels off the 2016 lows. If we pull back to $246, folks would be running around with their hair on fire, but as you can see, that would be nothing more than a “simple” 38% retracement. We see that all the time in individual stocks. Could that morph into something more, like a 50% or 61.8% retracement? Sure, and we’d still be in a long term uptrend. My point is this. After a 40% run in 2 years a significant and meaningful pull back is well within the realm of possibility. And even if that occurs, the long term uptrend will be intact. The first part of planning is to see the possibility of something occurring. Start opening yourself up to the prospect of a deep pull back. The second part is taking advantage if / when the pull back happens. We’ll explore strategies in upcoming posts. Those ideas worked out pretty well. 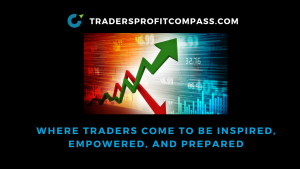 Join us for timely commentary along with lots of trade ideas. We’ve been very fortunate over the past 10 -12 weeks. Our team has been winning, not perfect, but winning. I’d like to think you’d benefit from the work. You’ll get a copy of my Daily Profit Compass, Weekend Profit Navigator, and other actionable content delivered directly to your mailbox each morning.